Dunlop AdhesivesNewsSmooth Mover – Dunlop’s Fine Surface Filler Off To A Flying Start! Dunlop’s Pro Décor range is continuing to prove popular with the trade and, with more homeowners looking to achieve the perfect finish, Dunlop’s Fine Surface Filler is predicted to fly off the shelves this autumn! 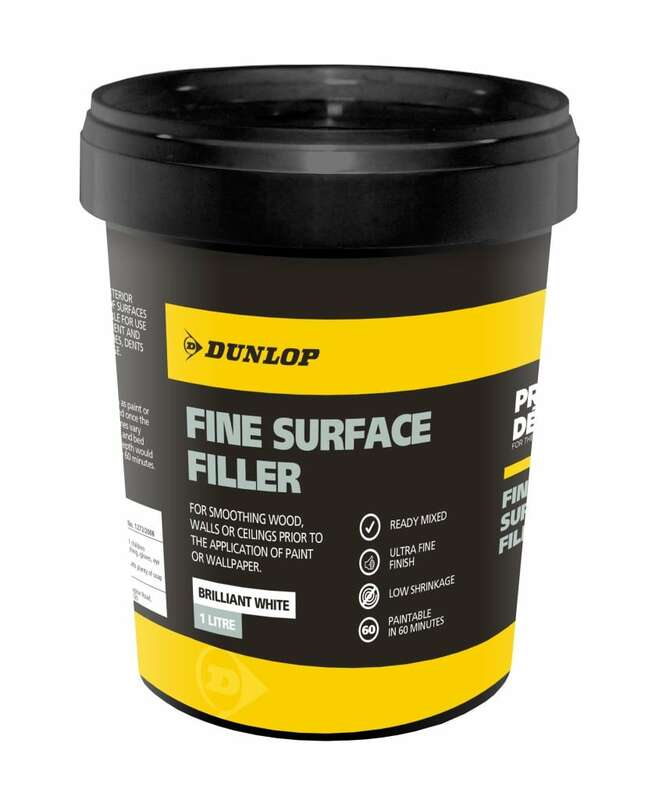 Dunlop Pro Décor’s Fine Surface Filler. With this in mind, Dunlop adhesives, is advising those in the trade to stock up fast on this innovative product! As an all-in-one, ready mixed filler, the Pro Décor range Fine Surface Filler is perfect for smoothing interior wood, walls or ceilings prior to decorating. And, with a drying time of just 60 minutes those in the trade can achieve an ultra fine finish in no time at all – meaning no more waiting around for a product to dry before decorating. Keep up-to-date with Dunlop’s latest news by following us on Twitter at http://twitter.com/DunlopAdhesives.